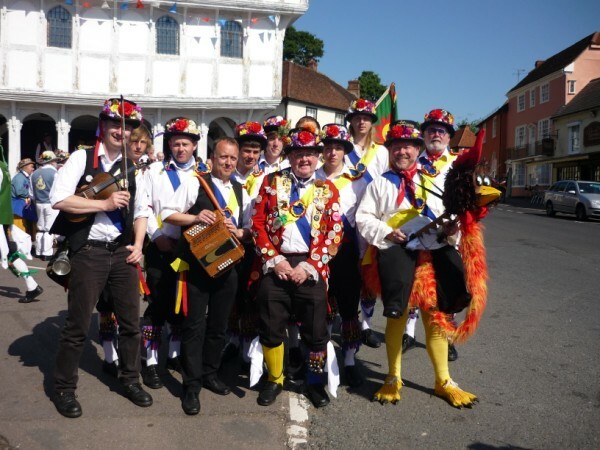 Want to Join the Moulton Morris Men? New members are always welcome. Just turn up at one of our practices on Thursday evenings , from 7.30 pm - 9pm at Moulton Village Hall and you'll be made welcome. You don't have to be from the village and you don't have to have any experience - training will be given and so long as you are reasonably fit and have a sense of rhythm, you'll soon be dancing! Use the map link below. We practice in the large village hall / sports complex in the centre of the map. Go to centre of village and join the one way system. At the end of Chater Street turn left into Overstone Road. Turn left into Sandy Hill Lane after about 1/4 mile . The new Community Centre is ahead on the right. You can't miss it!